A massive renewable energy programme in Saudi Arabia is expected to generate thousands of jobs. The solar project seeks to harness renewable energy and build a local manufacturing industry that can boost the kingdom’s exports, and ultimately generate 7,000 employment opportunities by 2020, according to a Bloomberg report. Saudi Arabia was earlier reported to require a $30 billion to $50 billion investment to materialise the renewable energy programme that seeks to cut local crude consumption in one of the world’s largest oil exporters. Bidders have been invited to pitch for the construction of 3.45-gigawatt solar and wind plants by 2020. The Ministry of Energy and Natural Resources, however, is requiring bidders to spend 30 per cent of the capital through home-grown employees and companies. “We want to create value. We don’t just want to bring in companies that open up manufacturing facilities at a very high premium, which the consumer will end up paying,” Turki al-Shehri, head of the renewable project development office in Saudi Arabia said. With the kingdom’s population growing annually, domestic demand for electricity has also been on the rise, prompting the government to find ways to diversify its energy mix. Currently, only a small portion (less than 1 percent) of the country’s power supply is derived from renewable sources. 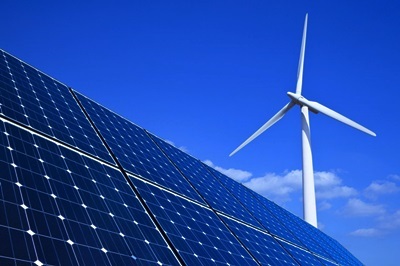 The renewable energy programme hopes to increase the share of renewables in the power mix to 4 percent by generating 3.45 gigawatts of renewable energy by 2020, and an additional 9.5 gigawatts by 2023.